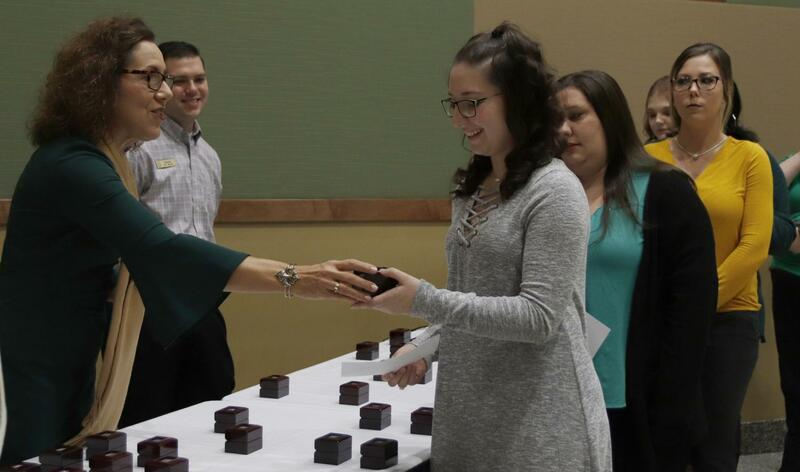 Graduating seniors accepts their university rings at ring ceremony ahead of commencement. The ring ceremony marked the next step towards graduation for seniors. The Alumni Association and Balfour hosted the celebration on Wednesday, Nov. 28. Associate Director of the Alumni Association Jenni O’Neil shared the preparation that went towards the ceremonial night. Austin Arnold, a senior finance major, remarked on the significance of the ceremony for him and his family. 1981 Alumnus John Neal spoke of his respect for the resilience of his daughter Lauryn Poche, a senior health systems management major. O’Neil expressed her devotion towards the annual ring ceremony.